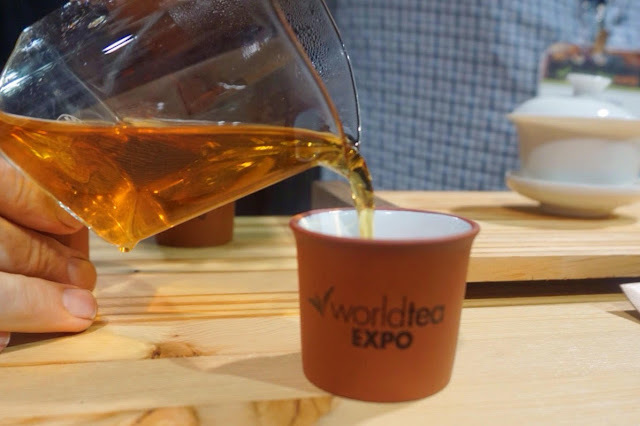 So, I was trying to break down my World Tea Expo experiences by individual days, but I think each post would end up as a novella. So I figured I should focus on the tea itself for this post, since well, that's probably what you're most interested in. Over the three days I had time to walk the expo floor, thankfully with various blogger friends who helped me navigate the rows of booths. It was nice to have guidance and company while trying to focus. I loved meeting the exuberant folks at Young Mountain Tea. I did an interview with Raj awhile back, and it was wonderful to meet him. He is just as cheerful and earnest in person. To learn more about their great company, you should check out the interview. I've enjoyed the teas I've tried from them, and I'm especially fond of their Indi's Gold black tea. I could drink buckets of the stuff. 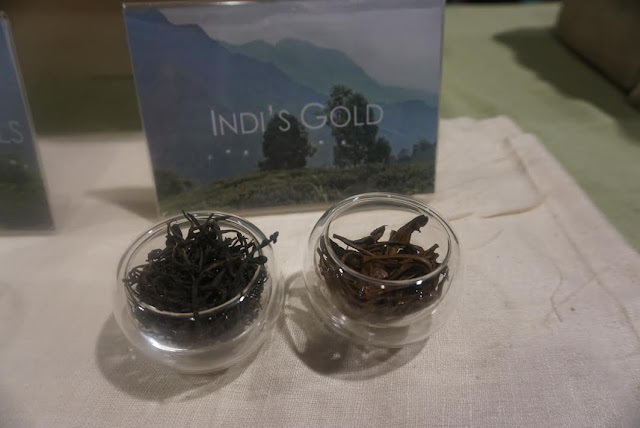 Nepali Tea Traders is a company with a good cause, working to help build a sustainable tea economy in Nepal.Also, a portion of every sale goes to the Nepal Youth Foundation which provides education and other important services. I had a lovely conversation with founder Maggie, and sampled a few of their teas. I was particularly fond of the smoky, vibrant Green Pearls of Agni (definitely my first time trying a smoked green tea!) and the sweet, lush Emerald Spring Green. I have samples of a few of these teas and hope to do a review very soon. 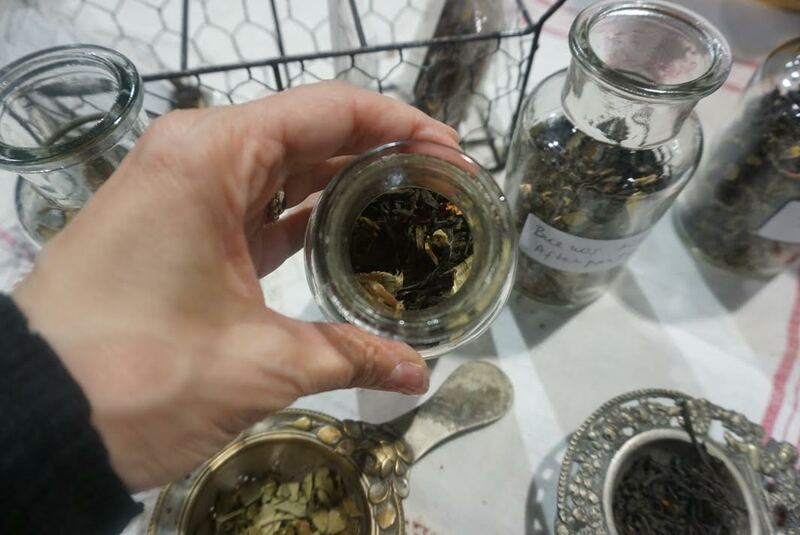 I've never been a huge fan of yerba mate, but I was intrigued by the SouthmaTea booth (and when Geoffrey Norman tells you to check out a booth, you go without delay). 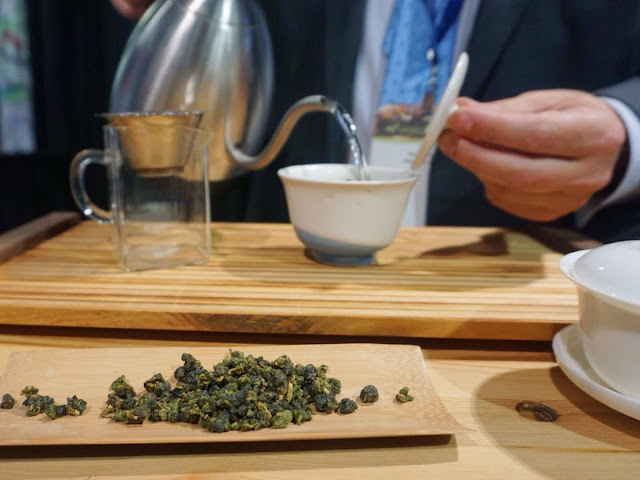 This new Argentinian tea company combines green tea, yerba mate and other South American ingredients into interesting tea blends. I actually enjoyed the blends I tried, I think it's because the mate was muted by the green tea and herbs. This is definitely unique tea from a region that isn't well known for growing tea. I wish them the best of luck with this new company! I hope to give you more information about them in the future. 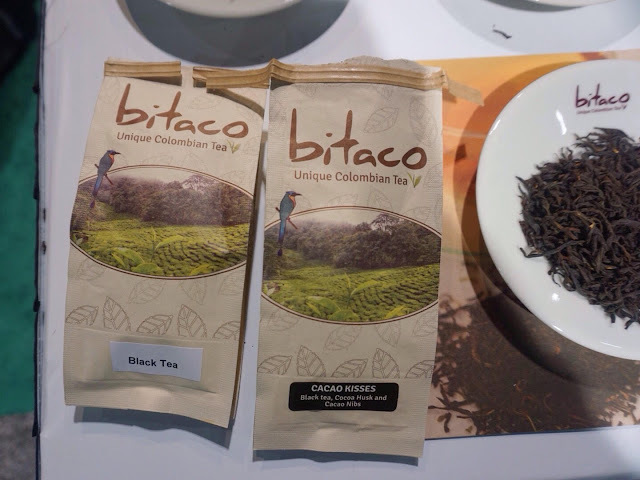 Speaking of South America, another favorite I discovered was Bitaco Tea. Their teas are grown in the West Andes mountains. High grown Colombian tea? Yes! I enjoyed their smooth, malty sweet black tea, and I surprised myself by loving the chocolaty cacao kisses (I usually hate chocolate in tea, unless it's added to masala chai). There is a good amount of volcanic material in the soil, and combined in with the climate it becomes a real tea producing region. 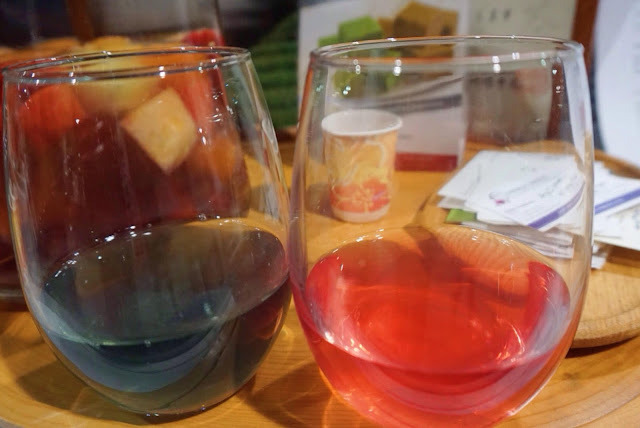 I have a few more samples to try, and will share reviews with you. I will also be featuring an interview with them soon. Another booth with friendly people was Lumbini Tea. They are a Sri Lankan based family owned company and I was intrigued by the lovely looking teas on display. I have a small knowledge of Sir Lankan teas, and there are a couple that I'm quite fond of. I have a bunch of samples to try from this brand, and I'm must curious about a ball of tea shaped like a fig. This tea even smells like a dried fig. I unfortunately didn't get a photo of this tea, but I'll be taking pics and writing a review soon. Sun Drop tea before and after! A booth that caught our eyes instantly was Kanes Tea. They had pretty pitchers of iced tea that looked similar to sangria, loaded with various fruit. It turns out this was their 'sun drop' tea. This tea is from the sun rouge cultivar which of course inspired the name for the tea..Once this tea is steeped, they add a few drops of lemon juice, and voila! The tea turns pink! If I hadn't seen it with my own eyes, I wouldn't have believed it was a natural process. 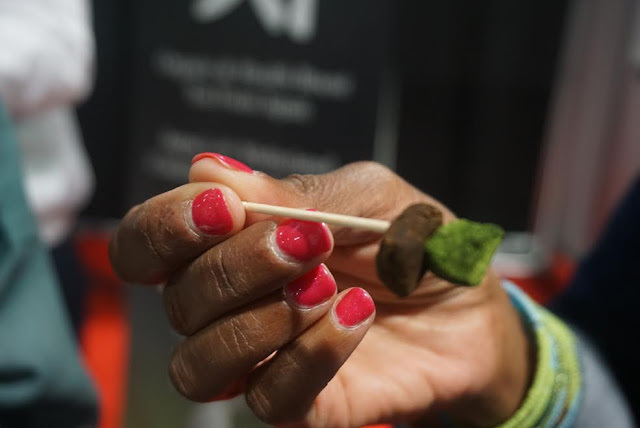 Kanes was also sampling matcha and hojicha chocolates that were soooo good, We may have had a few. Or more than a few. I think I liked the hojicha ones just a little bit better but the matcha chocolates were also delicious. I wished I could have purchased some on the spot. But alas, they didn't have any to sell at the expo. Another tea company working for a good cause is Justea. 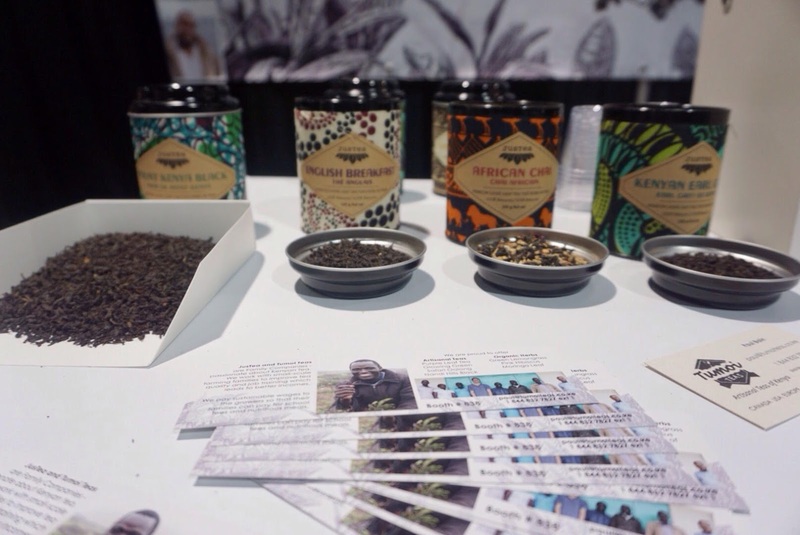 The company goal is to empower Kenyan farmers to not only grow, but also process their teas. 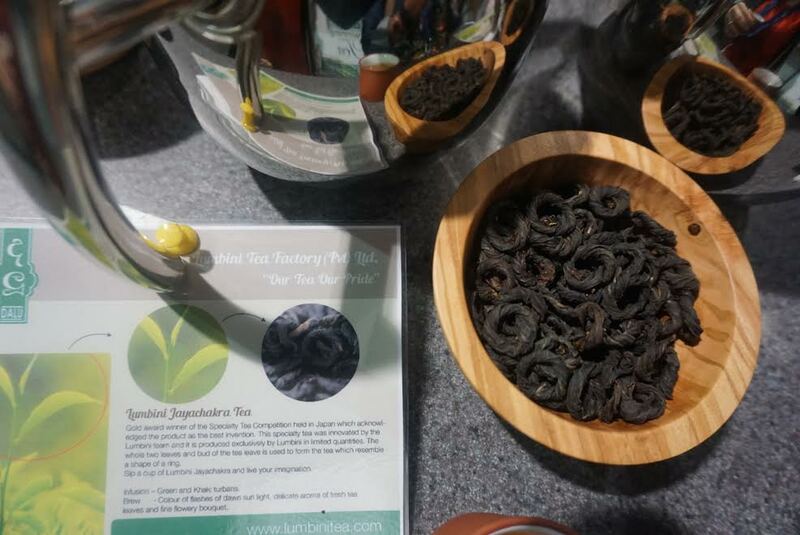 I'm already a fan of a few of their teas, and was happy to see them at the expo. 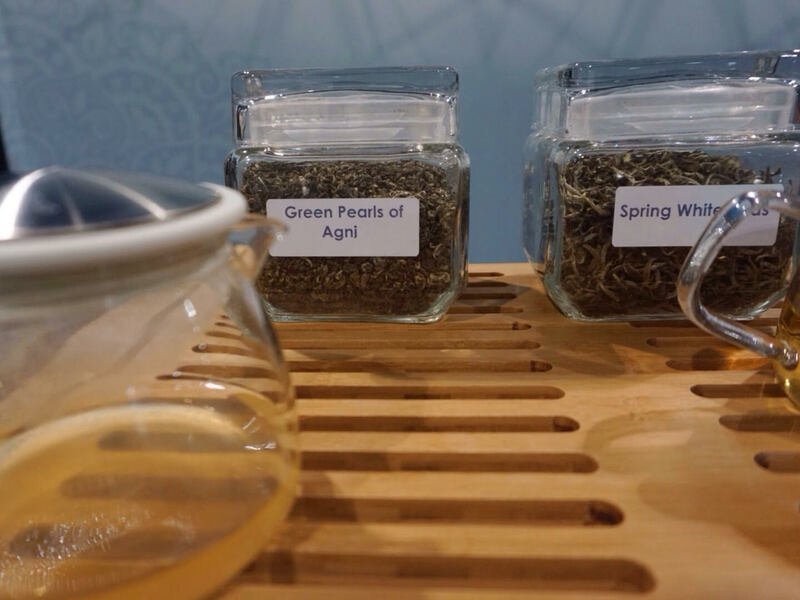 It's uplifting to see successful tea vendors that are making a difference. One of the friendliest faces at the Expo was Joseph Uhl of Joseph Wesley Tea (would he call himself friendly? Maybe not. But I think so). 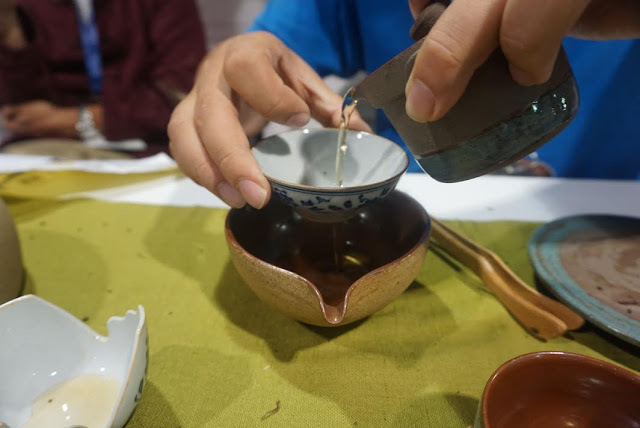 He shared an amazingly fresh Alishan oolong and velvety Qimen with us. You probably realize I' a fan of his teas, which reminds me that I need to get some more of his Dian Hong, one of my favorite comfort teas. I have my eye on that gaiwan, too. I think they recently restocked them. While chatting with Joe, I asked him if he tried anything that stuck out. 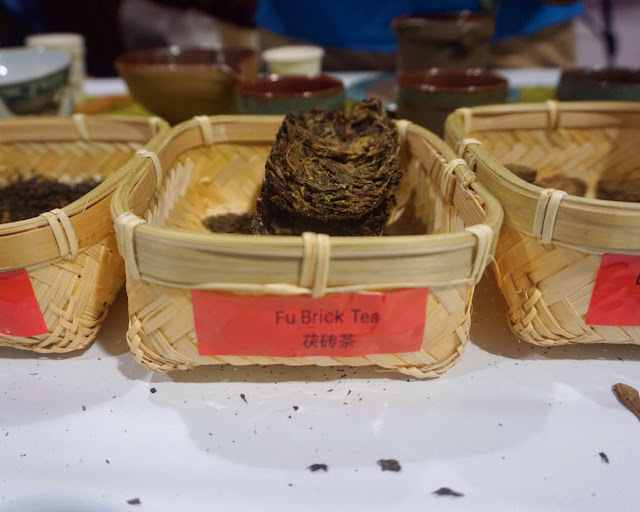 He said 'find the Fu brick tea!'. For the next 2 days, I was on a mission. There were many possible booths, and I kept getting distracted. When Rachel Carter and I were feverishly making our final rounds, I spotted it! Fu Brick from Anhua Lingfeng Mountain Tea Industrial Co. This hei cha has 'golden flowers', which is a type of fungus that grows on the tea. It may sound less than appealing, but it's something apparently coveted in certain tea circles. The tea was quite smooth, with sweetness and something like, well, mold. Trust me, it was good stuff. These are just a select few of the booths that I enjoyed while walking the expo floor. If you attended the expo, I'd love to hear what some of your favorites were! Well rounded selection, Sara. Thanks for sharing! I've been meaning to make truffles with my houjicha powder and your post is a nudge in that direction. Today I drank lots of leafhopper bitten tea and I've been thinking about burled wood so the fungus infested tea is intriguing. smoked green tea, o-shaped tea, pink tea, hojicha chocolates...sounds like tea paradise!